Teaching children to think creatively is one of the most important gifts we can give them. Surrounding them with other people's creativity in the form of literature, art, media, theatre, and music helps to nurture the creative seed that lives within us all. By encouraging kids to be flexible, imaginative and original, to take risks, ask questions, and improvise, we are giving them a great preparation for whatever they choose to do with their lives. One way to do this is use creative language when we're sharing a task, or playing with our kids. An ideal time is after you've been reading aloud. Here are some sample questions you can adapt to help your kids think creatively. • What are all the reasons the giant might have been sad at the start of the story? • What if the axe had been blunt? I wonder what might have happened then? • How could we change this book cover to make it more attractive? • What would you have done if you'd been the little dog? • Would there be any problems if we had wings? • What if we put this big one on top? • What could we use this for? • What would happen if we made this out of jelly? • Can we make an upside down one? • The answer is "red". What might the question be? • The answer is "sardine". What might the question be? • What are all the different ways we could get home fast? • What if the sky were pink? • What does "sad" sound like? 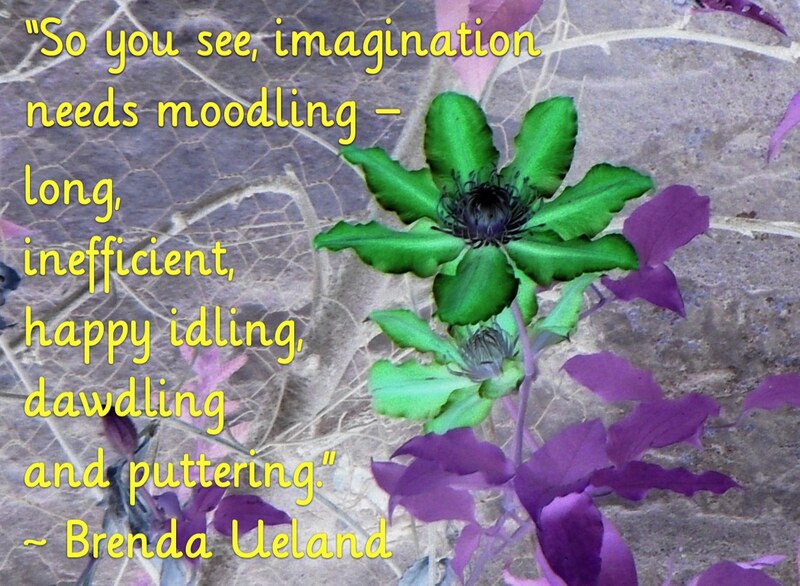 Just as we model reading and writing to our children, I believe we should also show our kids that we love to create. When we write a poem, arrange flowers in a vase, decorate a cake or design a better paper aeroplane, it's important to share our joy with our children. They witness our delight, and also see us having a go, persevering, concentrating, asking for help, finding answers - all qualities we hope they will emulate. I believe it's important too, to give kids permission to be messy somewhere at home. If we can set a space or a room aside where kids can have access to all the (age appropriate) bits and pieces they need, the card, pencils, paints, glue, paper, boxes, cloth, wool, scissors and a working space, then we'll be encouraging creativity too. Creative people are dreamers. Often it may look to their more linear brothers as if they are (gasp) wasting time. 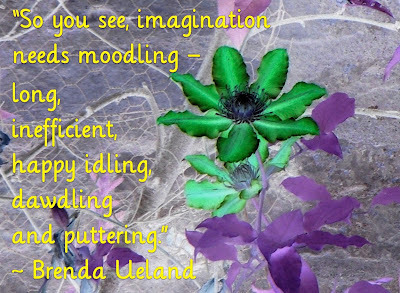 Creativity needs lots of "moodling" time, time to ponder, reflect, connect, hypothesise, and yes, fiddle about. Employers say they want workers who can think outside the box, think creatively. So by encouraging our kids to think that way, we’ll be advancing their job prospects! More importantly though, I believe we’ll be giving them a gift that will bring them lifelong pleasure - the ability to create something that didn’t exist before. Thanks. I really like this article. It says everything I try to say to the parents I meet every day.